It was probably inevitable that I would become an ecologist growing up as I did in Zambia at a time when kids could roam free through the Brachystegia woodlands. So, I studied botany and zoology before a tortuous path led me to ecology. With a great group of graduate students and colleagues we studied the Pongolo River floodplain ecosystem to determine the flow that would be required to sustain ecosystem functioning, including use by local people. This was my introduction to what we now term social-ecological systems. We applied a systems approach to understand the links between the ecological and social subsystems. Water security had long been an issue for the Kruger National Park as farmers upstream abstracted more and more water from the rivers flowing through the park. This created an opportunity to study adaptive management with an exciting group of researchers and colleagues from universities and South African National Parks. We were also able to study the uptake of adaptive management by the agency. Serendipity connected me with colleagues experienced in the social sciences at the University of Montana. With their insights and some really talented graduate students we studied and learned about organizational culture, resilience, collective identity and collective action and ‘discovered’ Elinor Ostrom’s work…taking us back to the Pongolo system to gain deeper understanding of the importance of property rights in the sharing of benefits of social-ecological systems. Through a consortium known as Insaka (a meeting place) of five universities, University of KwaZulu-Natal, Monash South Africa, Copperbelt University, University of Namibia and The University of Montana we are developing regional capabilities in research and management of social-ecological systems. After lecturing at Rhodes University for a number of years I moved to the then University of Natal, later being appointed Director of the Institute of Natural Resources. 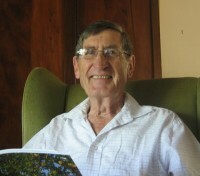 I am an Emeritus Professor and Fellow of the University of KwaZulu-Natal.